Belton School District is the latest district in Missouri to start randomly testing its students for drugs. This policy was created by the district’s students who came up with the idea. Under this policy, students with a permit to drive to school are now considered fair game to be randomly tested. Furthermore, any student in Grades 7-12 who is involved with an extracurricular activity would be required under this policy as well. The school district provided the parents with letters discussing the policy during open enrollment. Some parents were strongly on board with the decision, while others challenged the policy. Many parents, interviewed were surprised that it was the district’s students that created and developed the idea. 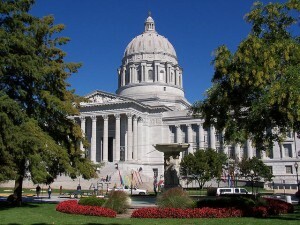 This latest rollout will be in addition to 160 other school districts in Missouri. The logistics for Belton County consist of 25 students in both middle and high schools that will be required to give a urine sample and be randomly tested each month. If a student fails a test, they are immediately suspended from their activity, lose their parking pass and are offered counseling. Also as a results of a failed test, the student will be automatically tested again the following month and if there are three positive drug tests, it would result in the student getting permanently suspended from the activity.